Your cellphone’s flashlight may be convenient, but it isn’t as powerful or versatile as an actual flashlight. If you want bright light that’s always close at hand like your phone, you need a keychain flashlight. 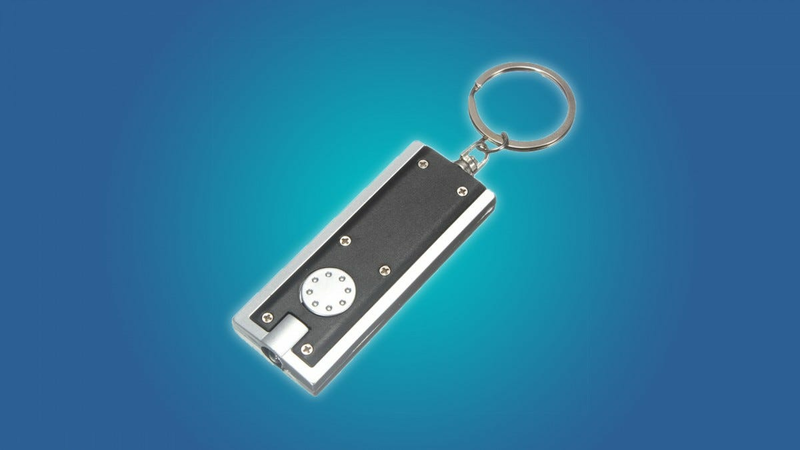 Most people think of keychain flashlights as novelty items, but they’ve really come a long way. They’re small, cheap, durable, convenient, and some keychain flashlights can put out around 400 lumens of light. For the sake of comparison, the LED on your smartphone puts out 50 lumens or less of light in a much less convenient form factor. But there are a lot of keychain flashlights on the market, and they come in all shapes and sizes. That being said, not all keychain flashlights make the grade. They may be too bulky for your pocket, or too weak for your late night dog walks. That’s why we’ve taken the time to find the best keychain flashlights on the market, for everybody’s needs. Keychain flashlights can get get pretty bright, but if you want a light that’s a little stronger (yet still small) you could always buy one of the slender options in our penlight-size flashlight roundup. Finally, while we’ve focused on picks here that range from super-budget-friendly to very-budget-friendly, we have some premium picks too. We’re big fans of flashlights and if you’re looking for a premium pocket flashlight to add to your keychain, check out this roundup of compact flashlights too. If you’re looking for a cheap, convenient keychain flashlight, then you should check out the 10-pack Meco keychain flashlight. These flashlights are super small, and they put out 45 lumens of light. That means they’re about four times more powerful than your cellphone flashlight. You don’t have to worry about buying batteries for these lights, because they’re built-in. 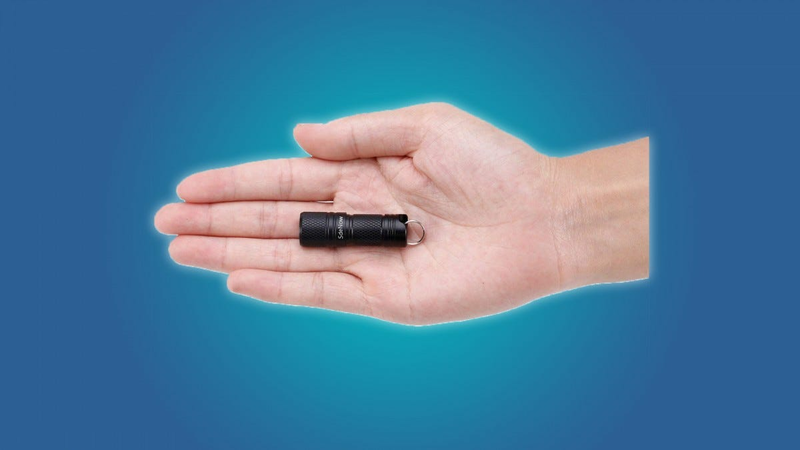 Since these flashlights are so cheap and so small, you could easily use them for more than just your keychain. You could attach one to your backpack, strap one to a dog leash, or put a couple through your shoelaces. 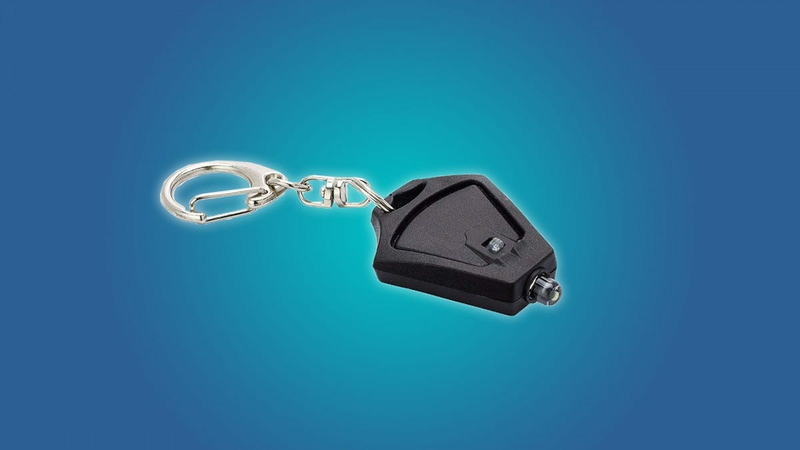 Powerful keychain flashlights usually require batteries, and they tend to take up a lot of your keychain’s real estate. 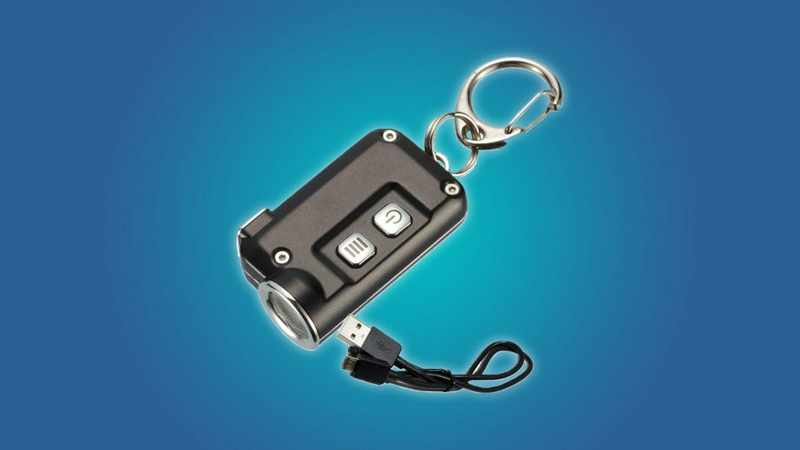 But the SdeNow mini keychain flashlight can be recharged by micro-USB, and it isn’t any larger than a car key fob. You’d think that a flashlight this small would be weak and fragile. Oddly enough, the SdeNow flashlight puts out 200 lumens of light (20 times brighter than your cellphone), and it has an IPX7 water-resistance rating, which means that it can handle about a half hour in a meter of water. 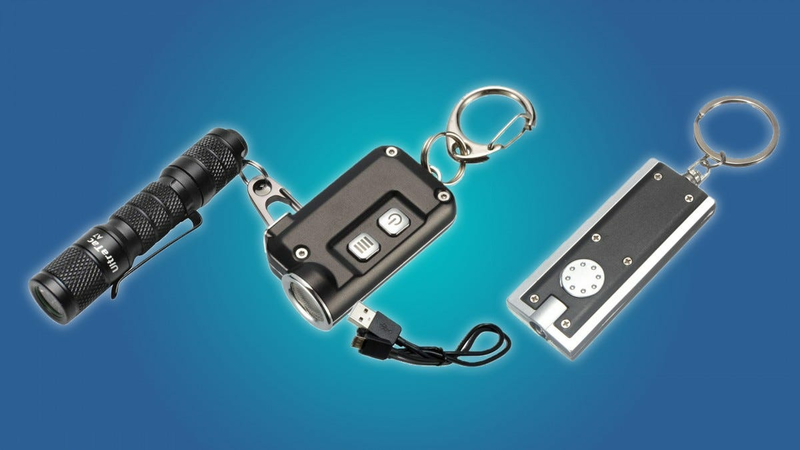 If you’re looking for a product that tows the line between a keychain flashlight and a pocket flashlight, then you should take a look at the AIDIER A7 keychain flashlight. It’s small enough that it won’t bulk up your keychain, but it puts out a solid 100 lumens (10 times more than your cellphone flashlight). The AIDIER A7 runs off of a single AAA battery, and an IPX8 water-resistance rating, so you can submerge it up to 2 meters of water. This is a great flashlight for nighttime dog walkers, mechanics, or anyone that’s fed up with their cellphone’s flashlight. If you’re looking for a super bright, super durable, super tiny, and super cheap keychain flashlight, then you should check out Finware’s micro LED flashlight 5-pack. These small lights won’t bulk up your keychain, but they’re bight enough for you to get around in the dark. These flashlights come with built-in batteries, and they put out about 12 lumens. Small (and cheap) lights like these are great for late night bike rides and dog walks. But they can also be attached to your bike, your shoes, your dog’s leash, or anything else that can handle a keychain. 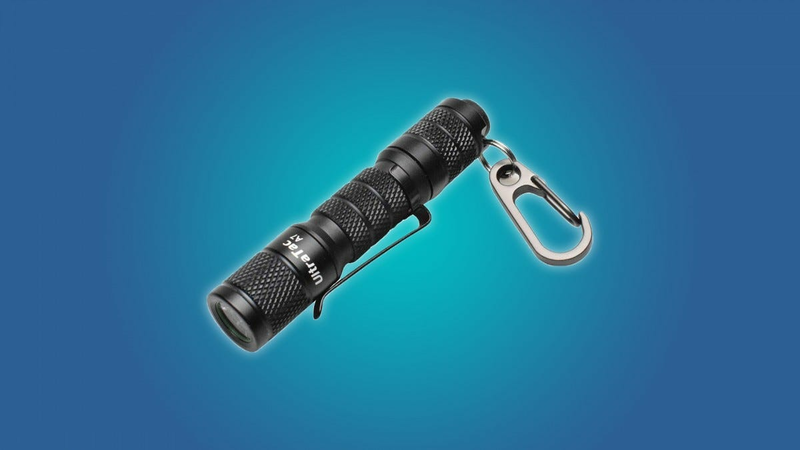 If you’re trying to find the ultimate keychain flashlight, then you should take a look at the Nitecore TINI. It’s a powerful flashlight that can be charged by micro USB cable, and it puts out 380 lumens of light. Plus, it has an IP54 water-resistance rating, so it can handle some rain or a few splashes. You’d think that a strong flashlight like the Nitecore TINI would be kind of bulky, but it’s actually about the size of a car key fob. Of course, the TINI is a bit expensive for a flashlight, but it’s worth the price if you’re looking for quality.